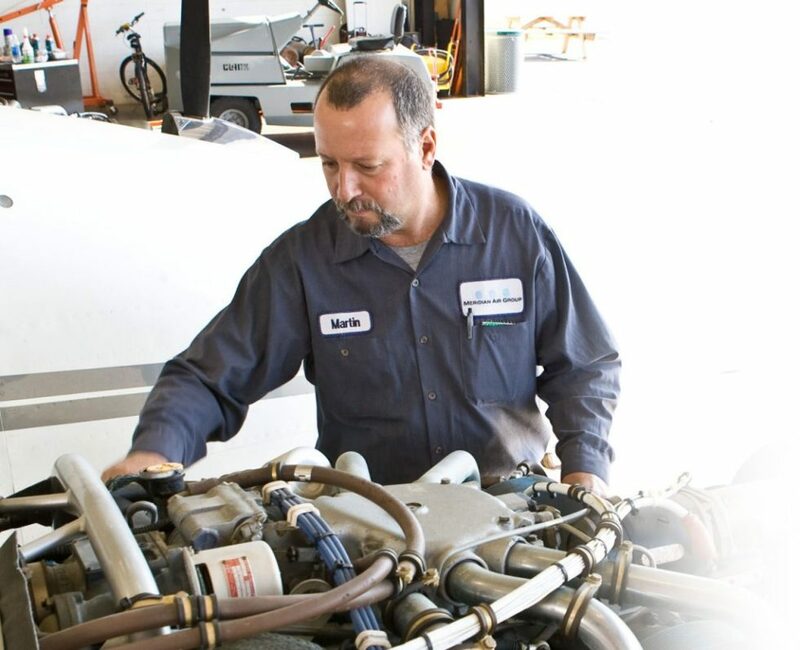 Meridian Air Group offers a full array of scheduled and unscheduled maintenance services at competitive flat-rate pricing for operators of turbine and piston-powered aircraft. We apply our high safety standards to provide unmatched quality maintenance while keeping your downtime to a minimum. Meridian Air Group follows a USDOT anti-drug and alcohol program for all safety sensitive positions. 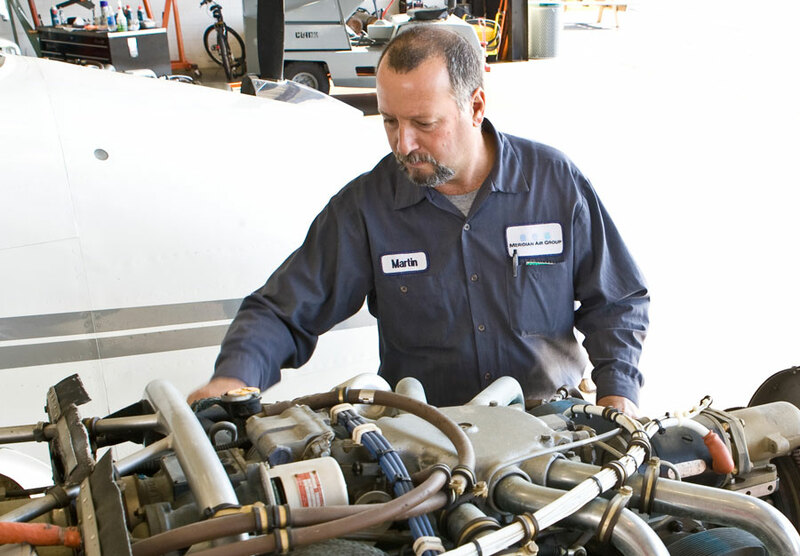 Our Maintenance Department is located at the Culpeper Regional Airport (KCJR). Give us a call today at (540) 825-9711 to discuss how we can help with your maintenance needs.